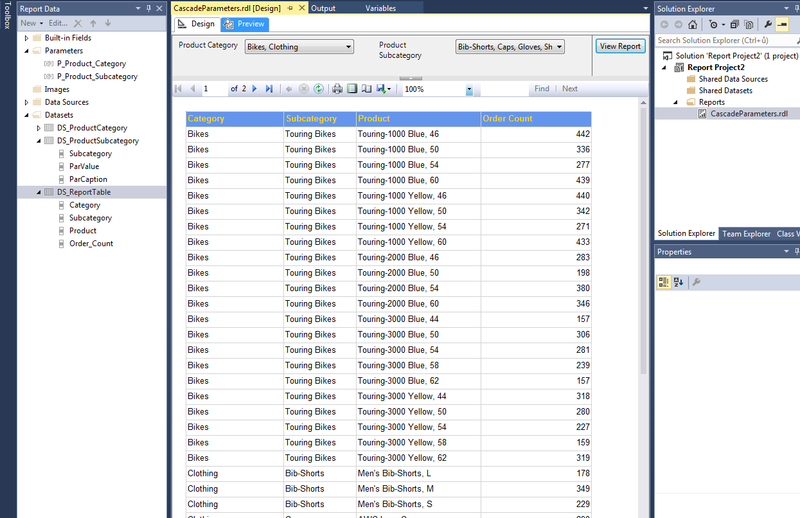 SSRS report parameters cascading is a regular usability requirement. In this tutorial, I will demonstrate how to proceed using MDX queries. The background to this is, that the default queries generated by the SSRS wizards are far below the standard we wish to deliver. Let’s dive in using the famous Multidimensional AdventureWorks DW OLAP Project. Lets start by creating a Dataset for the first parameter in the cascade. 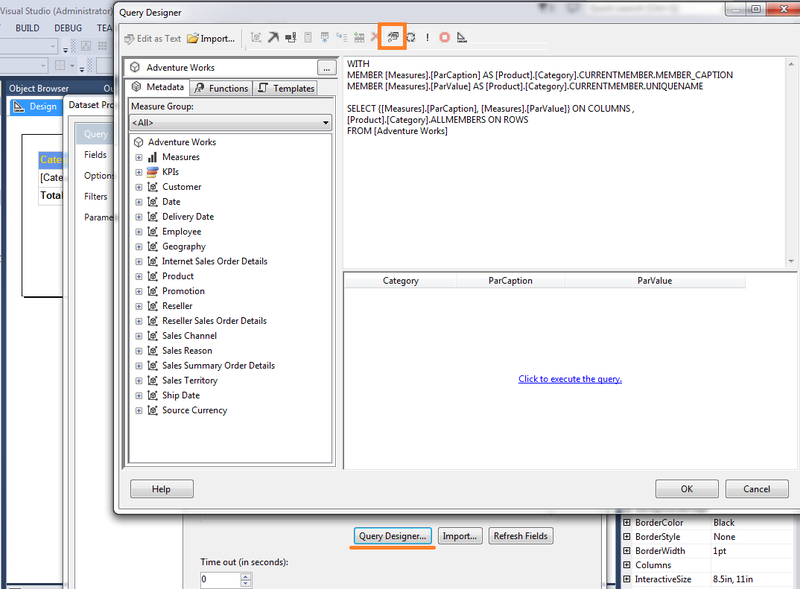 Start in the Dataset Query designer as shown below. 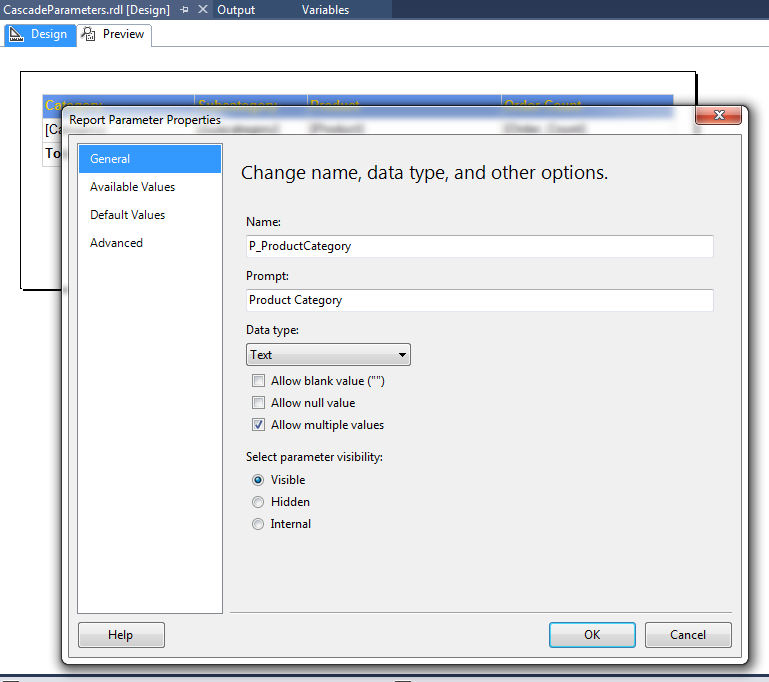 The second parameter needs to be created exactly the same way once you prepare its Dataset as described in the next step. 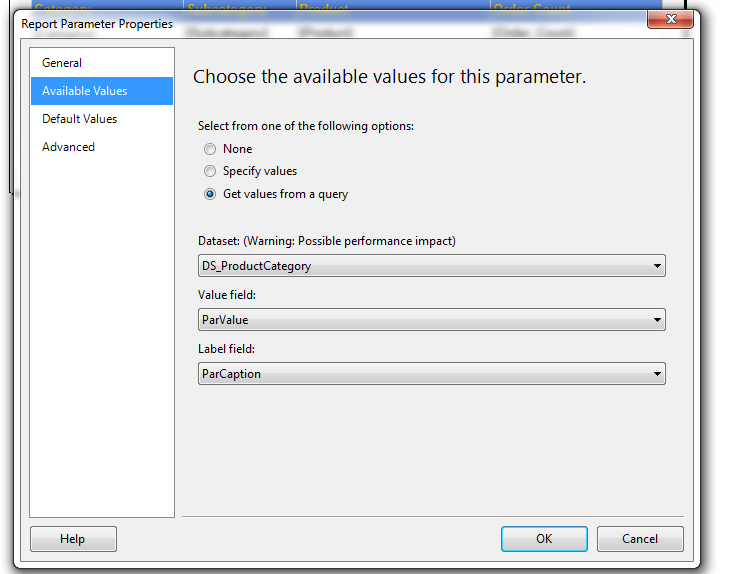 Continue by creating another SSRS Dataset used for the second parameter P_ProductSubcategory in the cascade. This parameter value gets calculated on the fly as you pick the first parameter value. Notice you might run into an error (actually a VS bug) when writing the MDX query related to the Dataset in the query editor saying “The query contains the XXXXXName parameter, which is not declared.” In that case, review the forum here but the solution is rather quick. Spoiler: Look for the Query Parameters icon in the top menu ( highlighted in orange box in the Query designer printscreen in the first screenshot from above) and set your parameters for the first time manually with some default value as well, that should make things work here.